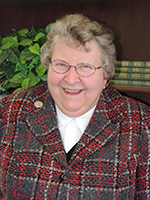 Sr. Maryann Golonka is a member of the Sisters of the Humility of Mary and was previously a member of the Laurel Lake Board of Trustees. 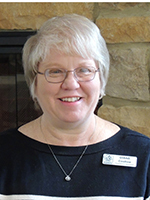 She has served on The Laurel Lake Foundation Board since 2000 and became Chair in 2014. 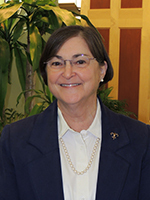 Sister Maryann, a nurse by profession, is a graudate of St. Francis Hospital School of Nursing and Kent State University. 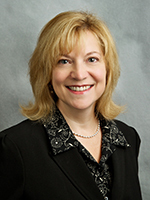 She is a member of the Board of Mercy Health Partners in Youngstown and currently serves as a Chaplain in a nursing home in western PA.
David Oster became the President of The Laurel Lake Foundation in 2005 when he came to Laurel Lake from Covenant Retirement Communities in Colorado. David graduated from Bowling Green State University with a B.S. in Healthcare Administration. David is also the CEO of Laurel Lake Retirement Community and serves as an Ex-Officio member of the Laurel Lake Operating Board. 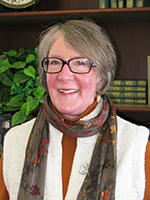 Ann Kirk joined The Laurel Lake Foundation Board in 2015. She received her undergraduate degree from Westminster College and graduate degree from Kent State University in Business Education. 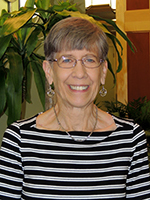 She began her career in Public Education, then joined with her husband, Pat, to work in his accounting and tax practice for over 30 years. She currently works for the new owner on a part-time basis. Ann is a Hudson resident and her parents were residents of Laurel Lake. Blake Rawson joined The Laurel Lake Foundation Board in 2016. 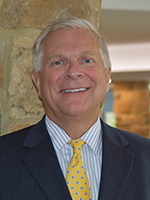 He is a Wealth Advisor and Managing Partner of Stratos Wealth Partners, Ltd. A financial professional for over three decades, Blake focuses on retirement planning, investment management, risk management and estate planning. He graduated from The University of Akron with a Bachelor of Science degree in Engineering and has earned two designations from the Wharton School of Business. He served on several charitable boards and now serves his community as an Angel Flight Pilot. Liz Murphy joined The Laurel Lake Foundation Board in 2014 and serves as Secretary. She also serves as Vice Chair of the Laurel Lake Operating Board. Liz is a graduate of Lawrence University and formerly owned the Learned Owl Book Shop for close to three decades. She is now Executive Director of Destination Hudson, Chairman of Hudson Community Service Association's Lighting Committee and on the boards of the Merchants of Hudson and Hudson Community First. Amy McCarthy became a member of The Laurel Lake Foundation Board in 2015. A Laurel Lake resident since February 2014, she is an attorney and member in good standing of the State Bar of Michigan. Amy holds an A.B. from Vassar College and J.D. from Suffolk University Law School. Amy helped organize the 2015 and 2016 Earth Day celebrations; she also serves on the Ethics and Volunteer committees. She is active in the Laurel Lake charity knitting program with Caps for Kids and Hats for the Homeless. 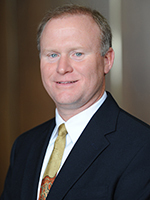 William (Tony) Fitzgerald became a member of the Foundation Board of Directors in 2017. After retiring from a 31-year career with JC Penney, Tony established his own consulting service offering executive coaching and career transition planning. Included among his clients are many nonprofit organizations. 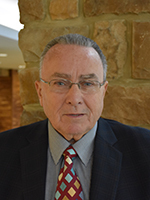 Previously, Tony served on the boards of the Marianist Family Retreat Center, the Muscular Dystrophy Association, the Red Cross of Lake County, the United Way of Beaver County and the United Way of Lake County. Currently, he serves as a board member of St. Vincent-St. Mary High School. Tony and his wife of 46 years, Mary Jean, reside in North Royalton, Ohio, and his parents were residents of Laurel Lake.